Note: The crew of STS-120 has finished their spacewalk activities, including a very dramatic space station solar array repair, and I can get back to normal sleeping, working, and writing schedules! 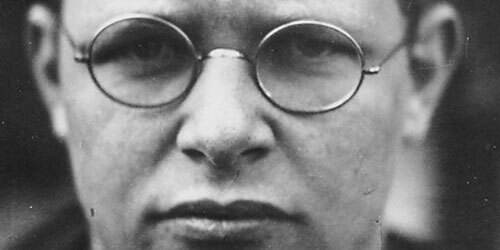 One of Bonhoeffer's most 'in your face' chapters is his chapter titled, "Single-Minded Obedience." In it he sound . . .
At 11:38 am (EDT) today the shuttle Discovery lifted off from Kennedy Space Center, Florida, and made a safe, flawless, and beautiful ascent to space. Within the next hour, the Mission Control Center in Houston, Texas, will give Discovery a ‘Go for orbital ops,’ meaning that all essential tasks to turn the . . .
As was pointed out in my first post on Cost of Discipleship, much of what Bonhoeffer has to say deals with the apparent disconnect between our confession of Christ and our lack of obedience to the commands of Christ. Given his historical context (Nazi Germany) and the actions of so many 'Christians' in the Third Reich, it doesn't . . . It's been a while since we've had any a-musement around here, and given the geographical distribution of my family thought this was perfect. Here is a quiz that alleges to be able to tell where you grew up based on your pronunciation of different words (i.e., your accent). HT to Sarahfor this one...it totally nailed that I'm a . . . Though I've read ahead in CoD by now, I cannot help but return to the first chapter again and again for Bonhoeffer's discussion of cheap versus costly grace. He wrote to address the situation of WWII Germany, but his voice heralds like a prophet to contemporary Evangelicalism. As he discusses the differences between cheap and costly . 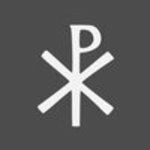 . .
"Roughly two thousand years ago, Jesus was born in a dumpy, rural, hick . . .